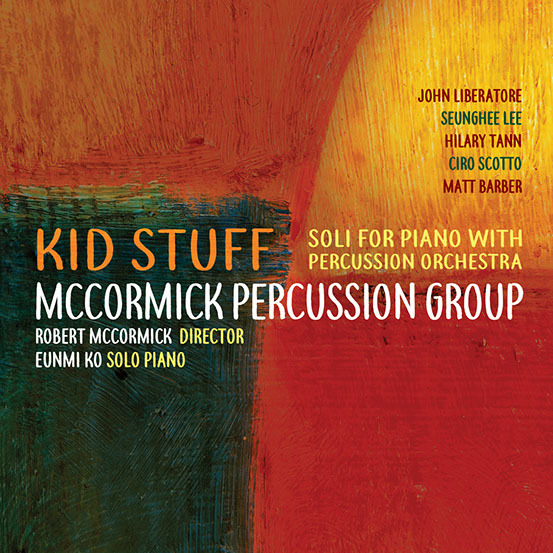 Our good friend Bob McCormick and his percussion group have released “KID STUFF” a CD of music for percussion and piano. Works by John Liberatore, Seunghee Lee, Hilary Tann & Ciro Scotto are expertly played by Bob and his band of fine percussionists. John Lane wrote, “Robert McCormick is a force of nature. Thank you for seeking out innovative composers and the continued effort to provide the percussion community with valuable and contributive recordings”.